The energy markets have continued to face volatile price movements throughout 2016. Natural gas prices have managed to recover after a steep sell off across the financial markets which led investors to dump risky investments and turning to safe havens. Given the miserable last few years the energy sector has faced and lousy beginning of 2016; it appeared the energy bears could not give up control. After seeing the price of natural gas dip below $2.00 MMBTUs in early March 2016, the price of gas has since rallied back to $2.822 MMBTUs and post year to date gains of 3.37% through August 2016. Most of the rally in natural gas could be attributed to the above-average heat wave that has largely effected the United States this summer. In addition, the production decline of 3% since February 2016, has also aided the bullish move. In fact, the U.S. Energy Information Administration released a gas inventory report on August 4, 2016 that showed natural gas storage shrank by 6 billion cubic feet, through the week of July 29th. This marked the first summer drawdown in natural gas storage since August 4, 2006. While natural gas demand tends to peak in the summer time, forecasts of warmer weather continue to show up across the country. Without a doubt, the rally in natural gas does face some hurdles. Very heavy production and imports from Canada continue to add to total supply and lowering prices. Ultimately, commodities traders see a mild Fall and moderate Winter in 2016. Natural gas prices are impacted by supply/demand factors, unseasonable weather, production, and more. The price of natural gas could go in either direction for the rest of 2016, but we do know that gas is not going anywhere. The fact that natural gas is cheaper than coal to use as a heating and energy source and is a cleaner option for the environment, shows that demand will likely continue over the next many years. One company that operates in the natural gas exploration and production business is 1st NRG Corp. (OTC Pink: FNRC). Headquartered in Denver, Colorado, 1st NRG Corp. (OTC Pink: FNRC) is engaged in the exploration and production of coal bed methane, one of the cleanest forms of natural gas. 1st NRG Corp. (OTC Pink: FNRC) operates Clabaugh Ranch in the Powder River Basin of Wyoming and holds a non-operated interest in an oil & gas well in the Beekmantown Dolomite formation in SE Ohio. The interest in the Clabaugh Ranch field was purchased in October 2010 by the natural gas company and is located in the Powder River Basin of Wyoming. 1st NRG Corp. (OTC Pink: FNRC)’s acquired interests include 43 producing wells, and 3,059 acres of undeveloped land capable of holding another 36 wells. Being that 1st NRG Corp. (OTC Pink: FNRC) is operating in shallow drilling environment, the company experiences lower costs and able to continue drilling over a number of years. While production at the Wyoming coal methane field has been shut-in, 1st NRG Corp. (OTCPink: FNRC) has announced they will be restarting production on its projects within the next couple of weeks. Thanks to 1st NRG Corp. (OTC Pink: FNRC)’s low cost business model that focuses on shallower drilling, the rally in the price of natural gas has allowed the company to enter into a profitable working environment again. Overall, management estimates 1st NRG Corp. (OTC Pink: FNRC) holds around 18.2 million Bcf of proven natural gas reserves at its Clabaugh Ranch project. Turning to 1st NRG Corp. (OTC Pink: FNRC)’s oil & gas well located in the Beekmantown Dolomite formation. Management is pleased to announce that most of the pipeline is set to come back online within the next month or two, and should continue to progress throughout 2016. The 1st NRG Corp. (OTC Pink: FNRC) maintains 100% of the offset development rights on this oil & gas well in Eastern Ohio. Ultimately, with natural gas and oil well operations looking to come back online within the next several weeks, 1st NRG Corp. (OTC Pink: FNRC) management is forecasting to see revenues between $150-160,000 moving forward with the rest of 2016. 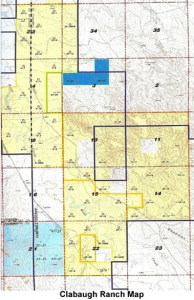 The key to 1st NRG Corp. (OTC Pink: FNRC)’s success in a relatively rough energy sector environment is to carefully map out geographical areas within its Clabaugh Ranch and the Beekmantown Dolomite formation, that are deemed to be “low geographical risk.” In other words, an area that does not need deep drilling and is able to be a repeatable development opportunity. 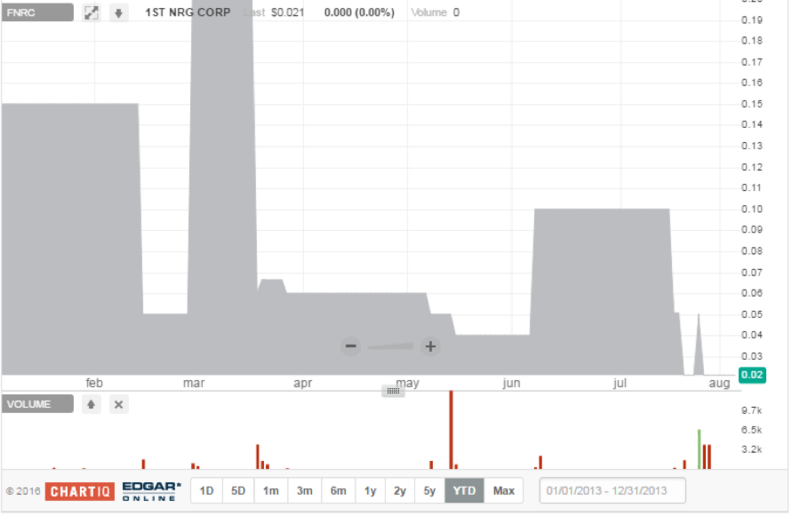 Now lets take a look at 1st NRG Corp. (OTC Pink: FNRC)’s financials and competitor analysis. As of August 2016, 1st NRG Corp. (OTC Pink: FNRC) has a market cap value of nearly $110.1 million. Furthermore, the natural gas explorer and producer has a share structure that consists of 20 billion authorized shares, 5.41 billion shares, and a float of nearly 409.5 million shares, as of June2016. The unfriendly business environment that has plagued the energy sector still continues, as natural gas and oil commodities continue to experience losses. As a result, 1st NRG Corp. (OTC Pink: FNRC) did not post revenues during the 1st quarter of 2016 and experienced a net loss of $222,014. Sanchez Energy Corp (NYSE: SN) operates as an independent explorer and producer of oil and natural gas. The company has 200,000 net acres with average working interest of 93% in the Eagle Ford Shale. In addition, Sanchez Energy Corp (NYSE: SN) also owns 62,000 net acres in the Tuscaloosa Marine Shale, located in Southwest Mississippi. During the first quarter of 2016, Sanchez Energy Corp (NYSE: SN) reported total revenues of nearly $79.82 million, but a net loss of $65.774 million during the period. Clayton Williams Energy, Inc. (NYSE: CWEI) is involved in the exploration and production of natural gas and oil deposits within Texas, Oklahoma, California, Louisiana, and New Mexico. The company has roughly 3,170 oil and gas wells in production, still 629,000 acres that are undeveloped, and proven oil reserves of nearly 46,570 barrels. As of August 2016, Clayton Williams Energy, Inc. (NYSE: CWEI) reportedly had a market cap valuation of $432.4 million, 12.17 million shares outstanding and a float of nearly 5.3 million shares. During the first quarter of 2016, Clayton Williams Energy, Inc. (NYSE: CWEI) reported total revenue of $30.31 million, but a net loss of $35.3 million during the period. EP Energy Corp (NYSE: EPE) operates as an independent exploration and production company. The company has acquired quite a bit of shale assets, with assets located in the Eagle Ford Shale, Permian Basin, the Uinta Basin, and the Haynesville Shale. In total, EP Energy Corp (NYSE: EPE) estimates that proven natural gas reserves stand around 940 billion cubic feet, 90 MMBbls of proven natural gas liquids, and proven oil reserve of roughly 546 million barrels of oil. As of August 2016, EP Energy Corp (NYSE: EPE) had a market cap valuation of nearly $928 million. Furthermore, the natural gas and oil producer has a share structure consisting of 252 million shares outstanding, and a float of nearly 37.7 million shares, as of August 2016. During the first quarter of 2016, EP Energy Corp (NYSE: EPE) reported total revenues of $224 million, and net income of $94 million during the period. Noble Energy, Inc. (NYSE: NBL) operates an as independent explorer and producer of oil, natural gas, and natural gas liquids. The explorer and producer operates seven major projects: DJ Basin, Marcellus Shale, Eagle Ford Shale, Permian basin, Gulf of Mexico deepwater offshore, West Africa offshore, and Eastern Mediterranean offshore assets. Overall, Noble Energy, Inc. (NYSE: NBL) estimates holding proven oil reserves of 1,420 million barrels of oil. As of August 2016, Noble Energy, Inc. (NYSE: NBL) held a market cap valuation of $14.74 billion, 428.6 million shares outstanding, and a float of nearly 423 million shares. During the first quarter of 2016, Noble Energy, Inc. (NYSE: NBL) reported total revenues of $724 million, but a net loss of $287 million during the period. Exxon Mobil Corporation (NYSE: XOM) is a global integrated oil and natural gas company. At the end of 2015, it was estimated that Exxon Mobil Corporation (NYSE: XOM) had oil proven reserves of around 24.8 billion barrels and hold the largest reserve of natural gas in the United States. As of August 2016, Exxon Mobil Corporation (NYSE: XOM) had a market cap valuation of $356 billion, listed 4.15 billion shares outstanding and a float of 4.14 billion shares. During the first quarter of 2016, Exxon Mobil Corporation (NYSE: XOM) reported total revenue of nearly $47.11 billion, and a net income of $1.81 billion during the period. Ultimately, 1st NRG Corp. (OTC Pink: FNRC) and the rest of the energy sector continue to wait and hope the worst of the energy commodity price collapse could be over. Supply issues continue to plague oil, while natural gas supply issues seemed to have caught a temporary break, thanks to stronger-than-expected demand. As 1st NRG Corp. (OTC Pink: FNRC) focuses on keeping costs low by utilizing coalbed methane, which is not only a cleaner natural gas, but also does not require as deep of drilling. Not to mention, 1st NRG Corp. (OTC Pink: FNRC) still has thousands of acreage that is still relatively unexplored and could yield a big addition of unexpected resources for the company.